Inside you'll find adorable booties for baby, whimsical penguin and bumblebee slipper-socks for kids, and sophisticated socks for adults—each with a personality all its own. The perfect portable project, socks require a minimal investment of time and money while providing the ultimate opportunity to experiment with color, pattern and technique. With On the Go! 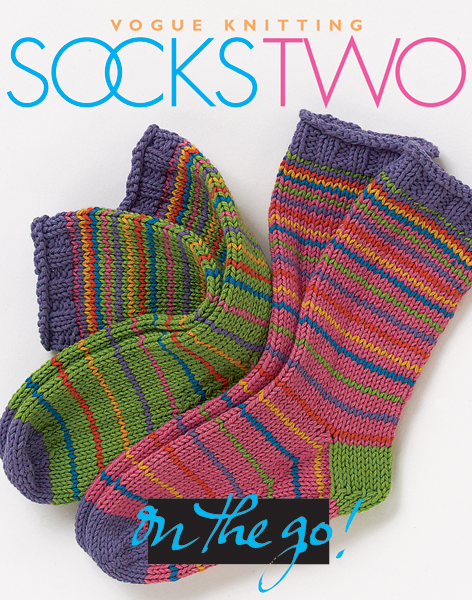 Socks Two, you can now knit more than twenty fun sock projects in a wide variety of styles for the whole family. If you need the basics, there's also a handy reference section that covers everything from selecting yarns and determining gauge to reading patterns and charts.